The coalition leaders termed this as the most conservative estimates as the actual prices obtained by the farmers in many cases are much below the official APMC market prices used in these estimates. The All India Kisan Sangharsh Coordination Committee (AIKSCC), a nationwide coalition of more than 180 farmer organizations, has alleged that the farmers will lose over Rs 35,000 crore during this crop season (Kharif) as they have not been able to sell their produce at the Minimum Support Price (MSP) assured by the government. "All major crops are selling below the government's own MSP, considering the average of official APMC market prices across hundreds of mandis over a period of 2 to 3 weeks. Just considering the top 7 crops (paddy, maize, soybean, cotton, bajra, groundnut and urad), the arrivals in mandis so far and the actual market prices, farmers have lost Rs 6,283 crores compared to the MSP. 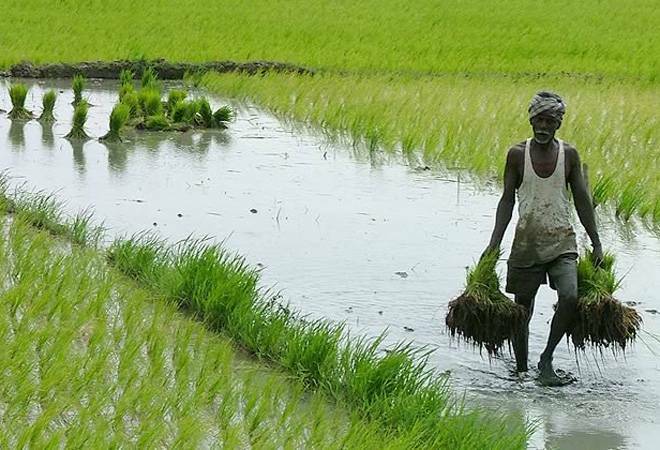 Considering the total crop that would be sold by farmers this season (Marketable Surplus), the estimated loss of farmers compared to MSP is Rs.35,968 crores", a statement from AIKSCC says. "The millions of farmers who voted in the 2014 elections did so based on PM Modi's promise about the MSP. However, after coming to power, his government denied this on the floor of the Parliament and in Supreme Court affidavit. The farmers will not tolerate this betrayal. Now the government is talking about doubling farmers' incomes. This is another 'joomla' because there is absolutely no mention of the promise related to remunerative prices, which is the most direct way of raising farmers' incomes," said AIKSCC. The difference between the actual price realised by the farmers and the amount they would have got if the electoral promise of the BJP had materialised is even bigger, they estimate. "Prime Minister Modi and the BJP manifesto promised in the 2014 elections that the Minimum Support Price will be fixed at 50 per cent margin above the Cost of Production. However, among the 14 crops of Kharif 2017-18, the MSPs for 7 crops have been fixed less than the C2 Cost of Production. In the other 7 crops, the margin above Cost of Production is merely 2-19 per cent. Considering C2+50 per cent as the fair remunerative price promised by the government, the loss faced by farmers is more than Rs 2.03 lakh crores," the union pointed out. The coalition announced the launch of a "Kisan Ki Loot" campaign in Delhi on Thursday. The protest is to culminate in a mega farmers' protest that will witness farmer representatives from all over the country converging in Delhi on 20th November. "This is a campaign that intends to showcase to the nation how farmers are being denied remunerative prices after all the hardships and risks that they face in producing food for the nation. In this campaign, AIKSCC volunteers are capturing the stories of hundreds of farmers across the country, and across different crops, through info-pics of farmers, to present the real picture of how farmers are unable to recover even their cost of production," they explained. In the last three months, AIKSCC had organised a Kisan Mukti Yatra that covered 10,000 km through 18 states, holding 500 meetings and making contact with 50 lakh farmers. "It is to address this loot of farmers that we are congregating in large numbers in Delhi on November 20th 2017 in a Kisan Mukti Sansad (a farmers' freedom parliament) to be organised on Parliament Street. Full remunerative prices as a legal entitlement with correct cost estimations and at least a 50% profit margin over the cost of production, for all farmers and commodities, is our main demand, in addition to a demand for freedom from debt, that includes a comprehensive immediate loan waiver as well as statutory institutional mechanism that addresses farmers' indebtedness on an ongoing basis," said AIKSCC representatives. AIKSCC leaders who addressed the press conference included its convenor VM Singh, Raju Shetty of Swabhimani Shetkari Sangathan, Yogendra Yadav of Swaraj Abhiyan, Hannan Mollah of All India Kisan Sabha, Medha Patkar of National Alliance of People's Movements, Dr.Sunilam of Kisan Sangharsh Samiti, Ashish Mitttal of All India Kisan Mazdoor Sabha, Avik Saha of Jai Kisan Andolan, Kirankumar Vissa of Rythu Swarajya Vedika, Prem Singh Gehlawat of All India Kisan Mahasabha, Satyawan of All India Kisan Khet Mazdoor Sabha, Prem Singh of All India Kisan Federation and Jagmohan Singh Patiala of Bharatiya Kissan Union (Dakaunda).